AFBHC Will Share CEO with IHANY – Capital Region’s First Approved Accountable Care Organization (ACO) for the Medicare Shared Savings Program. The Alliance for Better Health Care (AFBHC) has appointed experienced health care administrator Bethany M. Gilboard as Interim President/Chief Executive Officer (CEO) to improve care and lower the costs of caring for many Medicaid recipients in the Capital Region. Gilboard has a proven record leading health care innovations at several providers and regional organizations in Massachusetts. Her new responsibilities will be added to her current position directing the Innovative Health Alliance of New York (IHANY), an organization focused on improving health care delivery, including better coordination of care for Medicare patients. The AFBHC appointment was effective August 17. AFBHC is a collaborative network of more than 1,400 providers and 48 community-based organizations who are partnering to transform how health care is delivered in the Capital Region, with a focus on Medicaid members and uninsured individuals. The partners include three health systems (Ellis Medicine, St. Peter’s Health Partners, and St. Mary’s Healthcare, Amsterdam); two federally qualified health centers (Hometown Health Centers and Whitney M. Young, Jr. Health Center); and two independent physician group practices (CapitalCare Medical Group and Community Care Physicians). AFBHC serves an estimated 193,000 Medicaid and uninsured members in Albany, Fulton, Montgomery, Rensselaer, Schenectady and Saratoga counties. The organization, also known as a Performing Provider System (PPS), aims to develop an integrated health care delivery system. It was formed under a state Department of Health (NYSDOH) initiative called the Delivery System Reform Incentive Payment (DSRIP) program. New York State Gov. Andrew Cuomo announced in late June that AFBHC was one of 25 PPS organizations in New York state that will share in $7.3 billion of Medicaid savings over five years to implement ways to reduce avoidable hospitalizations, improve care and lower costs. If it reaches all shared project goals, AFBHC has the potential to earn up to $250 million of the program funds. AFBHC must specifically engage in projects to reduce the number of avoidable hospitalizations and emergency department visits by 25 percent over a five-year period. At AFBHC, Gilboard will be responsible for all executive leadership, and for implementing a PPS that meets state DSRIP requirements to advance the health of Medicaid patients and the community in general. Gilboard will continue as Chief Executive Officer of IHANY, a collaboration among doctors, health systems and providers to improve health by working together in new, more coordinated ways. She joined IHANY in March. In December 2014, IHANY was approved by the Center for Medicare and Medicaid Services (CMS) as an Accountable Care Organization (ACO) for the Medicare Shared Savings Program (MSSP). MSSP was created under the federal Affordable Care Act to help providers better coordinate care for Medicare fee-for-service beneficiaries through ACOs. The program rewards ACOs that reduce their growth in health care costs while meeting quality and patient satisfaction standards. “I’m proud to be leading organizations that can extend the Capital Region’s pioneering record in creating a high-quality, efficient health care system for the 21st century,” Gilboard said. “With her tremendous experience in health care, the appointment of Bethany Gilboard is a significant milestone for AFBHC. It is also a great opportunity for further collaboration between AFBHC and IHANY – two organizations with many common elements which link them,” said Victor Giulianelli, chair of the Board of Managers of AFBHC, and president and CEO of St. Mary’s Healthcare in Amsterdam. Giulianelli and Dr. Busino said that in addition to a shared president/CEO, AFBHC and IHANY also share office space at 14 Columbia Circle Drive in Albany, and currently have some shared organizational services and staff. They also noted that the boards of the two organizations will seek additional outside support and guidance on how they might further align the two organizations’ visions, governance and business models in the future. Prior to joining IHANY in March, Gilboard served since 2012 as president of MetroWest Accountable Health Care Organization, a 225-member physician hospital organization representing over 20,000 covered lives in Massachusetts. 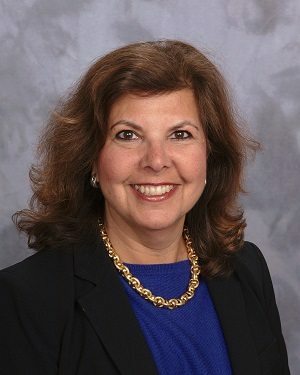 As part of this role, she built the administrative and clinical infrastructure to support a regional, multi-hospital ACO, and in 2013 secured approval for the formation of Collaborative Health ACO that was one of 52 ACOs nationally to generate significant savings in its first year of operation. Gilboard served from 2006-2010 as Director of Health Technologies, and from 2010-2012 as Director of the Massachusetts Regional Extension Center (REC) at the Massachusetts Technology Collaborative (MTC) in Boston. Through her work at MTC, she led a state-wide collaborative initiative to promote the adoption of Computerized Physician Order Entry (CPOE) involving physicians and health care institutions that later became a condition for hospital licensure in Massachusetts. Additionally, she previously served as executive director of the Lowell General Physician Hospital Organization in Lowell, Mass., as well as Director of Managed Care Programs at the Massachusetts Eye and Ear Infirmary in Boston. Formed in June 2014 as a collaborative effort between physicians, St. Peter’s Health Partners, and Ellis Medicine, IHANY has grown to include many additional partners. In today’s evolving health care landscape, clinical integration is essential to achieving the four-part aim of better health for the community, better care for individuals, enhanced provider satisfaction, and lower costs of health care. IHANY is primarily a physician-led endeavor to improve quality of patient care while simultaneously controlling health care costs by enabling physicians, health systems, and other health and social service providers to work together to share in shared savings with CMS. AFBHC, IHANY and DSRIP each share the “Quadruple Aim” goal of improving patient care, improving the overall health and wellness of the communities they serve, enhancing physician satisfaction, and reducing costs. The organizations are seeking ways to improve how care is delivered by finding solutions to better coordinate care, break down barriers, fill gaps in services, improve communications, lower costs, and become more efficient, while always keeping the patient at the center of care. For more information on AFBHC, please visit www.AllianceforBetterHealthCare.com. For more information on IHANY, please visit www.ihany.org.